Tucked away south of the Italian Sorrento Peninsula, in the Tyrrhean Sea, Panarea beckons as the chic jewel of the Aeolian Islands. 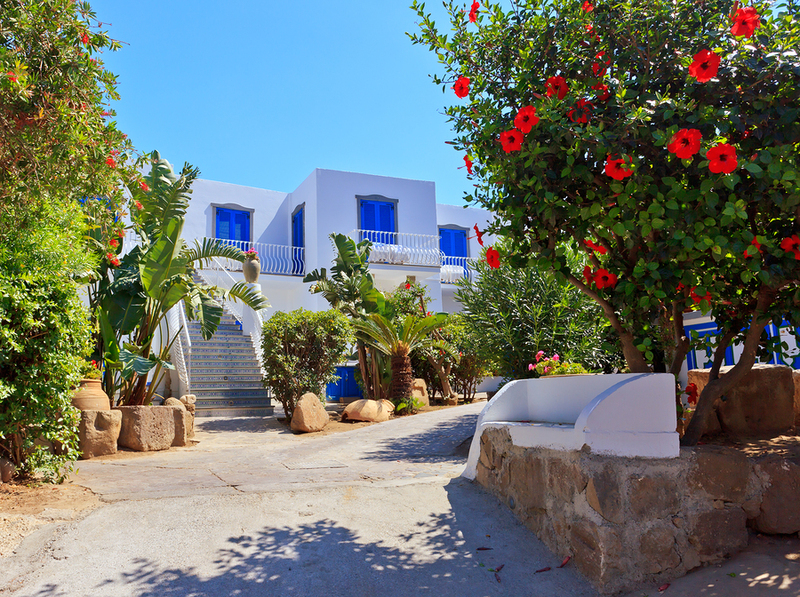 Like Ibiza in the Balearic Islands, and Mykonos in the Cycladic Islands, this island draws an international crowd to this tiny island with less than 300 year around residents. The island is, as described by W Magazine: “the epicenter of the chicest summer scene in the Mediterranean”. Enjoy a yacht charter itinerary through the Aeolian Islands and spend time in Panarea. Discover for yourself, the secret chic of this little island. The smallest of the Aeolian Islands, Panarea only encompasses 1.34 square miles. 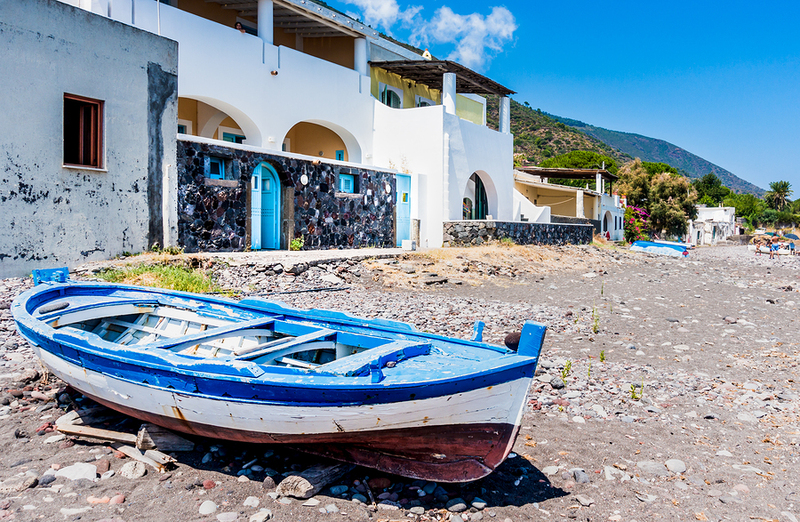 In 2000, the Aeolian Islands, including Panarea, were declared a UNESCO World Heritage Site. UNESCO has very strict regulations to assure that which is so special about these islands remains unchanged. This island is very difficult to get to, unless via private charter yacht, however, those that want to get away from it all do manage to get there from Royalty to famous names to the quietly wealthy; to relax away from prying eyes, in the simple mode of yesteryear. There are no roads on the island and no street lights. Those in search of night life rely on their own two feet and a torch or lantern to make their way to what night life there is other than impromptu dinners at neighbor’s houses. The chic dinner location at around 10:00pm is The Bridge Sushi Bar. And after, it is off to the Raya Hotel for the nightly dance party on the terrace with a view of the constant eruptions of the volcano on nearby Stromboli Island, certainly a unique, one of a kind, night club light show. There are several chic shops on on the island, where the custom made flat sandals, a signature of Panarea Island, with colored straps that wrap up the legs, can be purchased. And the Raya Hotel has a boutique filled with Batik clothing from Bali, which has become a signature clothing style on Panarea. This is an island of very casual chic, where stilettos are left behind in lieu of flip flops, and glitter and glam is not welcome. Capo Milazzese: This is a lovely anchorage, with a small little beach. 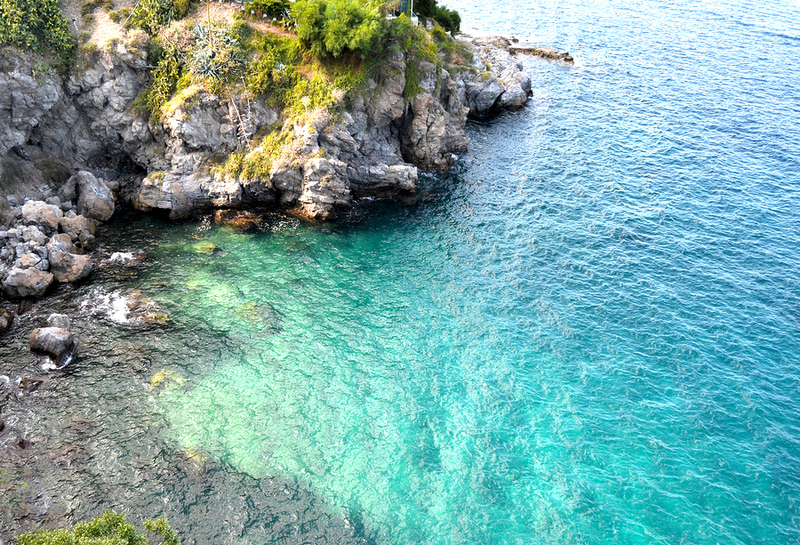 The water here is beautiful, very clear, in various shades of blue and green. Ashore are ruins of a Bronze Age pre-historic village consisting of more than twenty dry-stone hut circles, with now just low walls of the foundations remaining. Shopping: Although there are very few shops on the island, of those that are there, several are standouts for unique clothing from Panarea. Boutique Bougainville sells clothing, shoes, and accessories in all price ranges, beautifully displayed. There is an outlet up the way. Raya Boutique sells designs created by one of Raya Hotel’s owners, Myriam Beltrami, who found inspiration in Bali years ago, including Batik dying for her shop designs. There is also a Raya Boutique Outlet. At Moda Mare, you can design your own leather, suede or beaded Panarea sandals, which are custom-fit to your feet, and are made and ready to pick up the same day. The Bridge Sushi Bar: The chic place to dine. There are two seating’s, one at 8:00pm and the other at 10:00pm. Reservations a must. Hycesia Restaurant: Recommended as an alternative if Sushi is not to your liking. Reservations a must. 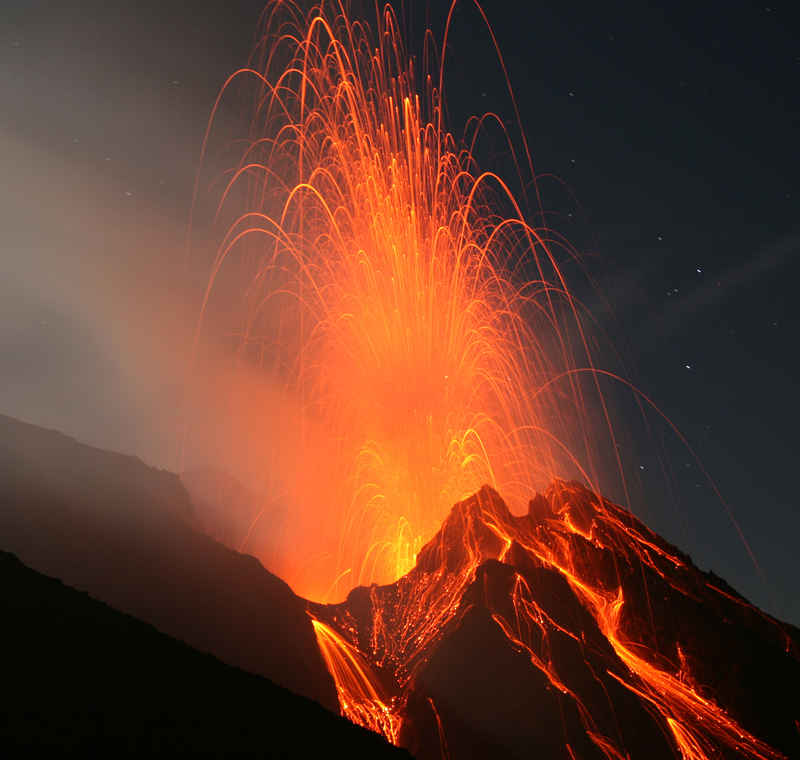 Raya Hotel: It is at this hotel that the nightclub scene comes alive, on a simple slab of concrete overlooking and lit by the ever-erupting Stromboli volcano. Overall it is the beauty of the island and the rustic lifestyle that is the draw, where one can socialize without a thought to having the right handbag or hairstyle, while trekking on footpaths around the island. This creates a feeling of relaxation hard to find elsewhere, even though getting to Panarea is hard to do, except…..on a private yacht charter.